Excellent for chronic pain, inflammation and anxiety. Promotes natural energy and safely boosts cognitive function. RH Malaysian contains 1.5% Mitragynine, 0.05% 7-OH-Mitragynine. Remarkable Herbs Malaysian Kratom Powder is both a powerful and highly beneficial herbal supplement harvested from the leaves of the rubiacea tree, which is kin to the coffee plant. Remarkable Herbs Malaysian Kratom Powder is a potent strain of Green Vein mitragyna speciosa and is exclusively harvested from the best farms in Malaysia. Always fresh and aromatic, each 3 OZ bag is safety sealed for freshness to preserve the alkaloid content. Our exclusive Maylasian Kratom Powder contains 1.5% Mitragynine, and 0.05% 7-OH-Mitragynine. 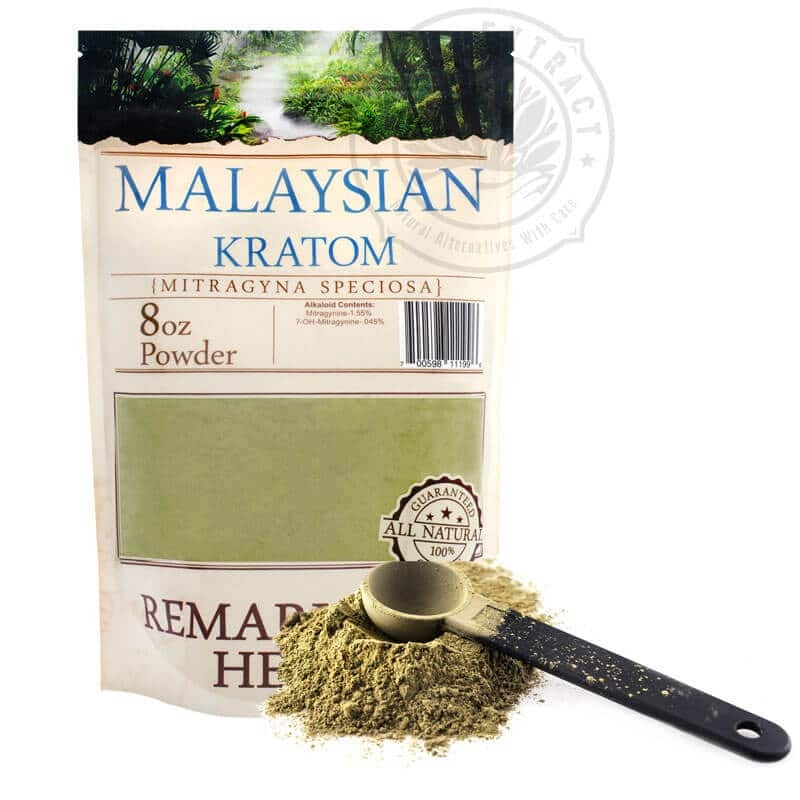 Translated, this means Remarkable Herbs Malaysian Kratom Powder lasts longer than most strains and less dosing is required to obtain desired effects. Potent, Powerful, and Long Lasting. Remarkable Herbs Malaysian Kratom Powder is a known favorite for energy and for relieving chronic pain. Start small with one gram and work your way up until desired effects are achieved. Every individual is different, and dosing should be tailored for the user. Remarkable Herbs Kratom Malaysian can be brewed into a tea, stuffed into capsules, or taken by mouth using the “Toss and Swish” method. Remember, with all kratom, LESS IS MORE!